The new year is the perfect time to set intentions for what you’d like to do with your life moving forward. Whether you set personal or professional goals, or you simply wish to enjoy life and focus on relationships with loved ones, 2018 is the year to build your life around what matters to you. A great place to find your muse is through travel; visiting new places opens your eyes to all sorts of historical, cultural, and artistic inspiration. Leaving your home base is also the perfect way to lose yourself in natural beauty and truly unplug. Expedia has an annual tradition of researching the hottest travel destinations for the new year, and we’ve created a list of 18 cities across the United States that are at their best in 2018. These winners are listed in no particular order, but they’ve all got serious bragging rights in the new year. Whether these cities boast new museums, grand-openings of swanky hotels, or celebratory festivals, they’ll all make fantastic bucket list travel destinations for this particular year. You’ve surely heard of some of these places, but others might surprise you. This year is an exceptional time for you to experience these top travel spots, so see how many you can hit in 2018! The appeal: New Orleans is an energetic city that’s overflowing with historical, cultural, and religious sites, not to mention incredible jazz music and mouth-watering Southern cuisine. It’s consistently regarded as one of the best places to travel in the United States, but a 2018 trip will be extra special, as the city will be observing its tricentennial (300th anniversary) with events and exhibits throughout the year, including NOLA activities celebrating religious and gender progress. Stay: Omni Royal Orleans blends luxurious accommodations with historical charm, and the location—two blocks from Bourbon Street in the French Quarter—can’t be beat. 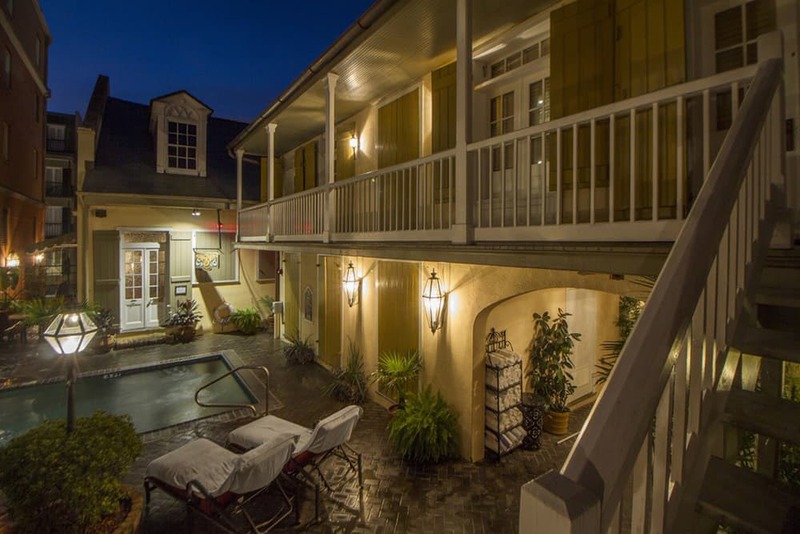 Another great option for adventurous types is the historic Dauphine Orleans Hotel, which boasts May Baily’s Place, an on-site bar with a sordid history and a reputation for being haunted by several ghosts! Do: Enjoy the sweet sounds of authentic jazz at Preservation Hall and stroll through the French Quarter, while working up your appetite for those famous NOLA beignets. Play: Head to the New Orleans Jazz Market, where you’ll find everything from live jazz performances to historical archives and a swanky cocktail bar. Eat: Experience the rich Creole flavors of the seafood sampler at Brigtsen’s Restaurant, followed by the bread pudding of the day. The appeal: The sleepy coastal city of Glen Cove is having a moment in 2018. This year marks the 350th anniversary of its founding, as well as the 100th anniversary of its incorporation as a city. Attend the Glen Cove 100th Anniversary party on January 5, 2018 at Glen Cove Mansion or simply visit the family-friendly city at your leisure to feel the excitement and pride in the air. Stay: Since Glen Cove is celebrating its past this year, book a stay at the historical Glen Cove Mansion Hotel, which is located right by the Long Island Sound. If you’re looking to pamper yourself, you’ll love the nearby Viana Hotel and Spa, which has an impressive indoor pool and spa, as well as full on-site spa services. Do: Get to know Glen Cove’s history and geology at Garvies Point Museum and Preserve, where there’s a special 50th anniversary seashell exhibit. Play: Spend the day enjoying the waterfront location of Glen Cove by renting a bike or kayak from Shore Thing Rentals then head to Garvies Point Craft Brewery to sample craft brews. If you’re more of a wine lover, stop by Meritage Wine Bar, where you can sip vino, nibble on local fare, or enjoy both. Eat: Enjoy the pan-seared salmon at Cedar Creek American Bar and Grill and, if you’re able to get there before 6:30 on a weeknight, opt for the prix fixe menu, adding a delicious appetizer and dessert to the mix. The appeal: Rapid City has long been considered a recommended travel destination for outdoorsy folks; it’s known for picturesque open spaces, history, and wildlife, not to mention its renowned Black Hills Stock Show and Rodeo. There’s no better time for a vacation in Rapid City, as the rodeo is celebrating its 60th anniversary throughout the second half of January and early February! Stay: Post up at The Rushmore Hotel and Suites, where you can easily amble over to Art Alley and Main Street Square. Do: Behold some of the most dramatic landscapes you’ll ever see at Badlands National Park, and take a jaunt over to Keystone, South Dakota, where you can admire the iconic Mount Rushmore National Memorial. Play: Recreate your lost youth at Press Start, a vintage arcade and bar combo—called a “barcade”—featuring everything from Skee Ball to Mortal Kombat to Pac-Man. Eat: Curb your cravings with an insanely delicious wild hog burger—and a side of fried pickle spears—from Sickies Garage Burgers & Brews. The appeal: Traverse City flew under the radar for a long time, with its small-town charm and nostalgic vibe relatively undiscovered for many years. Visit as soon as you can, though, because the secret is out; it’s been listed a top small-town travel destination in the United States. If that’s not reason enough to visit now, new construction and revival efforts might permanently change the vibe of this quaint, welcoming town on the freshwater shores of Lake Michigan. Stay: You’re there for the beach, so shack up there, too, opting for the Grand Beach Resort Hotel or its sister property, Sugar Beach Resort Hotel. If the weather doesn’t comply, take a dip in the indoor pool or chillax in the hot tub. Do: If you’re planning a summer vacation, try to plan your trip around the week-long National Cherry Festival during the first week in July. You’ll also have your fill of watersports, including parasailing, jet skiing, wakeboarding, and kayaking. 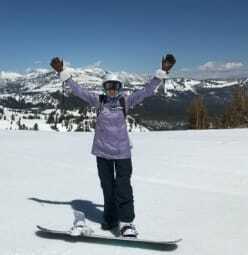 Play: There’s year-round fun at Mount Holiday, where you can zip line in summer months and snow ski during the winter. Eat: Sample Great Lakes fare by ordering the decadent Lake Superior walleye at Apache Trout Grill. The appeal: LaGrange is already pretty well-loved; it’s been called the top Micropolitan area in Georgia—and it’s also rated one of the top in the country. This family-friendly small town has tons of activities, and the kids will never forget that you took them in 2018 to bask in the glory of Great Wolf Lodge’s opening season! Just be sure to visit sometime in the second half of the year; the resort isn’t set to open until May 31. Stay: Stay just outside LaGrange at Mountain Creek Inn at Callaway Resort & Gardens, where you’ll find rustic—yet comfortable—digs in a family-friendly resort setting. If you’d rather stay closer to the action, the LaGrange Hampton Inn has a free breakfast buffet, so you can start each day by saving time and money. Do: Tour the breathtaking grounds of Hills and Dales Estate, where hundreds of plant species have been cultivated and preserved for over 175 years. After all that walking, you’ll have earned a treat from Cakes by Debbie. Play: Take the kids to the brand spanking new indoor water resort, Great Wolf Lodge, and enjoy the grand opening offers when you book in advance. Eat: Indulge in the mushroom ravioli at C’sons downtown, or take the whole brood to refuel at Mare Sol restaurant, where the extensive kids menu is sure to please. The appeal: Jersey City is all about location and views: specifically, panoramic views of the Manhattan skyline and Statue of Liberty. The once-gritty area is gentrifying and going through some major changes, so 2018 is the perfect time to experience a blend of the old and the new flavors of Jersey City. Stay: The Hyatt Regency on the Hudson has everything you need, starting with an exceptional location right on the Harborside Financial Center’s south pier. Take advantage of the lap pool, sweeping views, and premier fitness center, as well as an on-site marina and fine dining restaurant. If you’re looking to unwind, soak in the views of the NYC skyline as you relax in a deluxe in-room tub in any of the Premium Newport King Rooms at the waterfront gem, The Westin Jersey City Newport. Do: Take some time to reflect at the incredibly moving 9/11 Memorial, then catch some live music at White Eagle Hall in Downtown Jersey City. Play: Admire NYC’s iconic skyline at breakneck speeds by booking a jet ski tour with Sea the City. Another option is to take it all in at a more mellow pace by embarking on a Statue Cruise. Eat: Savor the duck l’orange—or the butternut squash Wellington, if you’re a vegetarian—at Satis Bistro, and don’t miss the smoky notes of the ricotta gnocchi at Kitchen Step. The appeal: Middlebury is a charming small town with tons of opportunities for kids and adults to enjoy a vacation. This summer is the perfect time to visit with your family, as Quassy Amusement Park’s water park area will be supercharged for 2018! Stay: Make yourself at home at the stately, kid-friendly Tucker Hill Inn bed and breakfast. If you’d like to explore a bit more of the area, The Country Loft bed and breakfast is located in nearby Woodbury, and is walking distance to several sites. Do: Spend the day at family-friendly Hop Brook Lake, where you can walk, pack a picnic, swim, or ride your bike in tranquility. Play: Spike your adrenaline at Quassy Amusement Park, then indulge in a day of pampering at Viso Bello Day Spa. Eat: Sample the unique flavors of the lemon pork at Meet Me Here Restaurant and Bar and opt for the decadent seafood-based linguine at L Restaurant. The appeal: With everything from shopping and gambling to parks and Medieval Times, pretty much anyone can have fun in Hanover. While not as well-known as neighbors Baltimore and Annapolis, Hanover is an easily accessed gem in Maryland that’s worth taking the time to explore. Late 2018 is the perfect time for a trip, as Live!—a brand-new luxury hotel with incredible views and an on-site spa—will complete construction. Stay: If you’re traveling toward the end of the year, you’ll want to be among the first guests at the sumptuous Live! Hotel, but if not, take advantage of the free breakfast buffet and indoor pool at Element Arundel Mills. Do: Treat yourself to a day of shopping at Arundel Mills mall, or opt outdoors by spending a pleasant day with the family at nearby Rockburn Branch Park. The National Cryptologic Museum offers a fascinating look at the history of encryption and decryption, including how these practices have helped shape our nation into what it is today. Play: Take the kids for some kitschy fun at Medieval Times or try your luck at the slots at Maryland Live! Casino, which has repeatedly been voted the best casino in Maryland. Eat: Dig into the decadent stuffed eggplant at Cantina Mamma Lucia or opt for a light meal of lemon chicken over zucchini pasta at Vivo Trattoria. Via Yelp via Kelly R.
The appeal: Virginia’s capital city offers something for athletes, foodies, history buffs, and everyone in between. If you’re a theater enthusiast, definitely put Richmond at the top of your destinations to visit in 2018; Broadway in Richmond has an incredible lineup this year, including a Rent 20th anniversary tour. Stay: If you’re traveling with kids, hook them up with a stay at Omni Richmond Hotel, where they’ll receive backpacks filled with goodies, along with free in-room milk and cookies. Conversely, you can splurge on a romantic getaway at The Berkeley Hotel, which offers a special romance package including red roses, chocolate-covered strawberries, red wine, and a romantic breakfast. Do: Stroll through the 50 acres of gardens at Lewis Ginter Botanical Gardens, making sure to stop by the children’s garden if you have little ones in tow. Rest those tired legs by seeing more of Richmond on a historic trolley tour. Play: Swim, canoe, paint, or people-watch at Pony Pasture Park, or opt for thrills by heading to nearby King’s Dominion amusement park. Night owls will love Richmond Raceway; it’s one of only a few race tracks to host all of its events at night. Eat: Indulge in the flavorful slow-cooked pork shoulder at The Roosevelt or spring for a surprise with any of the seasonal seafood selections at Shagbark, which continually refreshes its creative menu. The appeal: Sports-centered Carson is definitely on the up and up. It’s home to the Los Angeles Chargers and is the training headquarters for the U.S. men’s national soccer team. Carson has even been selected to host the 2028 Summer Olympics! The city has much to celebrate in 2018, including its 50th anniversary, which will be honored by a city-hosted gala. In addition to the party, Carson has all sorts of fun activities to celebrate the occasion, including a golf tournament fundraiser, a rose float parade, and multiple workshops. Stay: Soak your stress away in a private, in-room deep-soaking tub at Miyako Hybrid Hotel Torrance, which is just a mile outside Carson. Or, if you’d rather stay right inside the city, the Doubletree Carson is an excellent option to be near the action at StubHub Center. Do: Catch an NFL game at StubHub Center or satisfy your inner adrenaline junkie by spending a day driving the car of your dreams at the Porsche Experience Center. Play: After shooting a few hoops at Anderson Park, quench your thirst with some maple mead at Honest Abe Cider House and Meadery. Eat: Head upstairs from the Porsche Experience Center to refill your tank with a hamburger at Restaurant 917—be sure to top that burger with an over-easy egg for the full experience! The appeal: Kansas City is on many folks’ lists of top places to visit. After all, this easygoing Midwestern city has incredible barbecue and enthusiastic, friendly locals who will point you to all the top attractions with a smile. Share die-hard KC Royals fans’ enthusiasm in 2018 by buying tickets for a baseball game; the Royals have all sorts of events planned to celebrate their 50th anniversary season. Stay: Soak your cares away by splurging on a room with a deep soaking tub—try the Presidential Suite at The Fontaine, a luxurious spot with 24-hour room service and a rooftop pool. If you enjoy high tea, consider InterContinental Kansas City at the Plaza; there’s an on-site brasserie that has several tempting afternoon tea options. Do: Explore the artifacts at the fascinating Arabia Steamboat Museum, then head to Kauffman Stadium for a KC Royals baseball game. Play: Cool off at the Oceans of Fun Water Park or be one of the first to experience the Nordic Chaser ride at Worlds of Fun; the boat-themed ride is new for 2018! If you’ve got younger kids, build new family memories by taking them to Legoland Discovery Center. Eat: Brunch it up with the French toast stuffed croissant at The Corner Restaurant and Bar, then chow down on the chimichanga del dia at Port Fonda, a KC-based food truck-turned restaurant. Via Yelp via .Ryan B. The appeal: If San Antonio sounds familiar, that’s because its historical sites, delicious eateries, and natural beauty landed it on our list of 17 cities to visit in 2017, too! It’s the only city to make our list two years in a row, so if you missed the boat in 2017, you can still feel good about enjoying riverboat rides and other San Antonio activities in 2018, as this year marks its 300th birthday! There are all sorts of tricentennial activities planned this year, so there’s never been a better time to head to Alamo City. Stay: Admire sweeping views of the city from your luxurious room quarters at Hotel Contessa Luxury Suites on the Riverwalk, located—you guessed it—right on the Riverwalk. Or, admire original pieces by famous artists, before heading to the poolside bar on the roof of the tastefully appointed St. Anthony Hotel. Do: Remember (to visit) the Alamo! While you’re in the area, don’t miss the impressive architecture at San Fernando Cathedral. Cool off in the mysterious underground passageways at Natural Bridge Caverns, then spike your adrenaline by heading straight for the treetops above, where you’ll find heart-thumping obstacle courses and zip lining adventures! Play: Take in the city by gliding down the San Antonio River on a cruise or private charter. Be sure to take the kiddos to the San Antonio Zoo and Aquarium, and add a spooky ghost tour to the mix…if you dare! Eat: Respect your commitment to eat well this year by ordering the hearty quinoa tamal bowl Pharm Table, a favorite among vegans and meat-eaters alike. San Antonio knows how to party late into the night, so when you find yourself feeling peckish at 3 a.m., head straight to Mi Tierra, which serves up tasty Mexican food 24/7. The appeal: Wellington was originally settled in 1818, making this year its bicentennial! The cheese-loving village in Ohio plans to celebrate its 200th birthday with numerous events and activities planned throughout 2018, including an ice cream social, an antique car show, a bicentennial ball, and more. Stay: Part of Wellington’s appeal is its sleepiness; catch some shut-eye in nearby Oberlin at The Hotel at Oberlin. Do: Take time to tour The Spirit of ’76 Museum. While it certainly details Wellington’s historic relationship with everyone’s favorite mold, rest assured that it’s not entirely cheesy; you’ll also find Archibald Willard’s original Spirit of ’76 painting—considered by some to be the most influential painting in U.S. history— in the museum, as well as a rather baffling roll of toilet paper imprinted with a replica of said painting! Play: Spend a few hours exploring the peaceful, woodsy trails of Findley State Park, and you don’t need to worry about booking ahead to experience Wellington Reservation, a picturesque outdoor space with a nice playground and paddleboat rentals. Eat: Give yourself the gift of breakfast for dinner at Dimitri’s Corner Restaurant, or head over to Fort’s Tavern for a pulled pork mac’n’cheese wrap. The Red Iron Bar and Grill offers fried perch that’s worth trying, too! The appeal: Prescott is a quaint mountain town known for its pleasant climate and outdoor activities, as well as historic Whiskey Row. One of the many reasons you should visit in 2018 is that Prescott is also home to the World’s Oldest Rodeo, which was founded in 1888. For its 131st birthday, the rodeo has all sorts of fun events planned. Stay: Behold some of the most beautiful sunsets you’ll ever see at Prescott Resort, where you’ll also enjoy an on-site casino and full-service spa, as well as an indoor pool. Do: Spend the day picnicking or kayaking at Goldwater Lake, or scramble on the boulders at Granite Dells, which can be accessed via Watson Lake. Another fun option for history buffs is Sharlot Hall Museum, or you can spend the day browsing the shops in the historic downtown area of Prescott. Play: Take the kiddos to Heritage Park Zoo, then enjoy some adult time by wandering along Whiskey Row, stopping into various bars to sample their spirits. If you’re in Prescott between June 28 and July 4, you’ll be able to enjoy all sorts of events at the World’s Oldest Rodeo, including Prescott Frontier Days dance, bull riding, and steer wrestling. Eat: Dig into the decadent fondue at Prescott Brewing Company. The appeal: You might blink and miss Mooresville when you’re driving by, but that’d be a shame because there’s more to it than white picket fences. The pint-sized town is bursting with charm and historical significance, yet it flew under the radar for a long time. It was recently named as a small town to love, and 2018 happens to be a big year for Mooresville; its 200th birthday is this year! The town is planning to celebrate its big bicentennial birthday by offering a series of family-friendly events throughout the year. Stay: Mooresville maintains its charm by staying small; you can catch some zzz’s at the DoubleTree in nearby Decatur, Alabama. Do: Savor Mooresville’s slow pace by strolling down Main Street. Be sure to see the post office, which is Alabama’s oldest still in operation, then swing by the historic Mooresville Church of Christ, where President James Garfield once preached. Play: Head over to Arrowhead ramp and paddle the Tennessee River to Mooresville. Eat: Pick up a few pralines at Lyla’s Little House, or nibble on the irresistible cheese straws if you’re avoiding sweets. Stop by JaVa for excellent coffee and conversation. The Appeal: Little Lockhart is called The Barbecue Capital of Texas and, while anytime is a good time to indulge in smoked meats, 2018 is the ideal year to pay a visit to this Texas town. Starting this year, the Lockhart area, which is 30 miles south of Austin and 70 miles northeast of San Antonio, is the new home to the beloved Old Settler’s Music Festival. The event has set up shop at a 145-acre plot of land just outside town, in Tilmon. Try to plan your visit to Lockhart around April 19-22, 2018, so you can enjoy good tunes and good food, Texas style. Stay: Post up at the comfortable, convenient, and family-friendly Lockhart Inn. Do: Don your boots and jeans, then head to Maverick Horseback Riding for a fun, challenging day on the trails. Or, you can tee off at Lockhart State Park before heading to Caldwell County Jail Museum, which offers a peek into prisoners’ unpleasant living quarters from the early 20th century. Play: Head to the Old West-style bar, The PEARL, for happy hour. You’ll find a great selection of reasonably priced cocktails and brews just off the courthouse square. Eat: Stop by the oldest barbecue joint in the area, Black’s BBQ, where the meats are unbelievably flavorful. Save room for some peach cobbler! The appeal: Smyrna is one of our recommended vacation destinations because it’s such an excellent place to unwind in truly peaceful surroundings. 2018 is the perfect time to plan that relaxing getaway because the town will be celebrating its 250th birthday with quite a few festivities, including a massive Fourth of July celebration with a parade and fireworks galore. If you’ve got other plans for the holiday, head to Smyrna a week early and catch the Smyrna at Night concert on June 29. Stay: You can stay and play at the nearby Dover Downs Hotel and Casino, which comprises a motor speedway, casino, and hotel, not to mention an indoor pool, nightclub, and full-service spa. If you’d rather stay right in Smyrna, the Best Western Smyrna Inn is a comfortable and convenient option. Do: Take advantage of tax-free shopping in the quaint downtown area, or spend the day strolling along the bay at Woodland Beach. Play: Sip spirits at Painted Stave Distilling, an award-winning distillery and tasting room located inside a historical 1940s movie theater. Eat: Fill up at Main Street Market, where you can indulge in all sorts of comfort foods, followed by hand-dipped ice cream. The above cities made our list of the 18 top destinations to visit, but only you can define the spots that will inspire you the most in the new year. Where are you planning to travel in 2018?